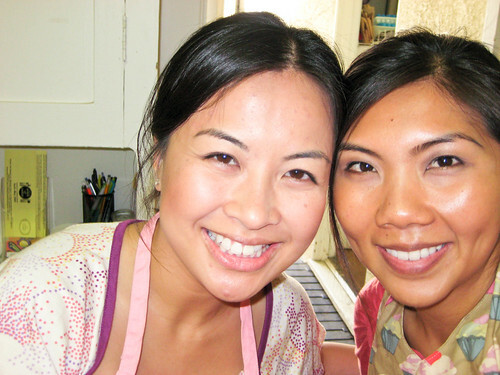 Yesterday morning, Thitam and I met up for a Greek cooking class in Manhattan Beach. It was not only fun, but definitely memorable because I picked up some useful tips. - Instead of using a garlic press, food processor or knife, you can use a zester or grater to mince the garlic. It is quick and easy to clean. - To cut parsley for tabouli salad, you would grab the stems at the end and hold it firmly as you scrape the knife across the parsley from left to right. Then, you would continue to rotate the stems of the parsley until all leaves are complete. It will enable you to focus on the parsley and take out the stems in a shorter amount of time. 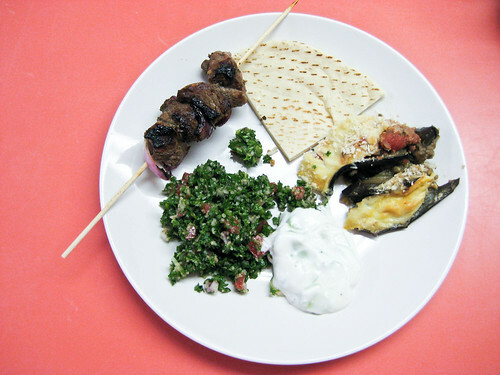 Thitam and I learned how to make tabouli salad, moussaka, lamb kebabs and tzaziki. I cannot wait to replicate the feast again at home!